Donna shared Angel's experience with our herbal formula for pain and weakness in the back and hips. Thank you Donna for sharing your experience with our Pawhealer family! 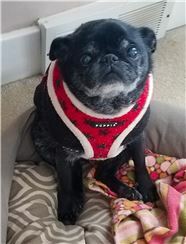 "Angel has been using this for over 6 months for her arthritis in spine and hips and now is running without pain and can even jump a little again." 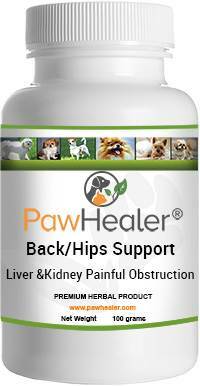 Here is the formula that Angel is using, it is our Back/Hips Support Liver & Kidney for Painful Obstruction formula, its great for pain in the hips, back and joints!